Good morning. It's Friday, Oct. 5. 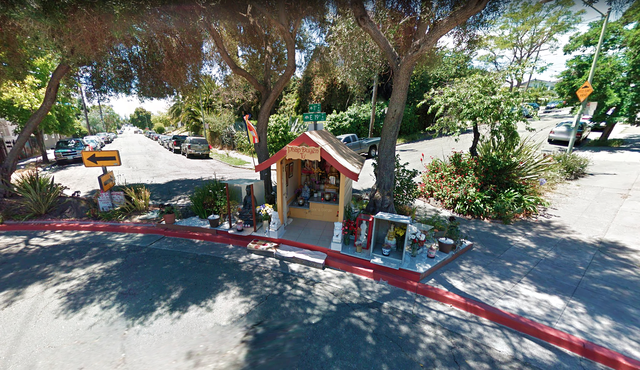 • A Humboldt homeless advocate is named a CNN "Hero." • Fears of a slaughter of Northern California's wild horses. • And photos of the Beats in 1950s and '60s San Francisco. Betty Chinn at her office in Eureka. 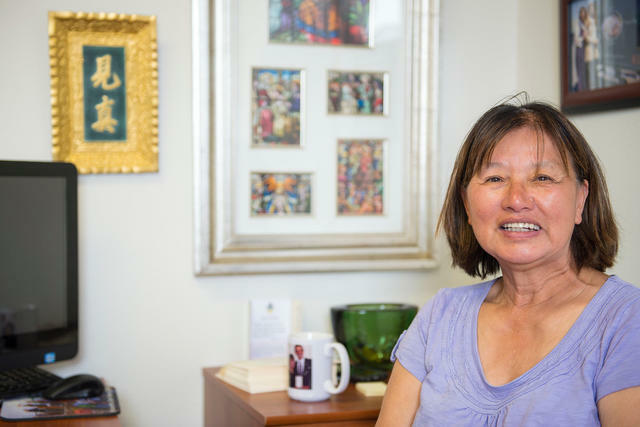 Betty Chinn, a homeless advocate based in Eureka, is known around Humboldt County as "the Chinese Mother Teresa." 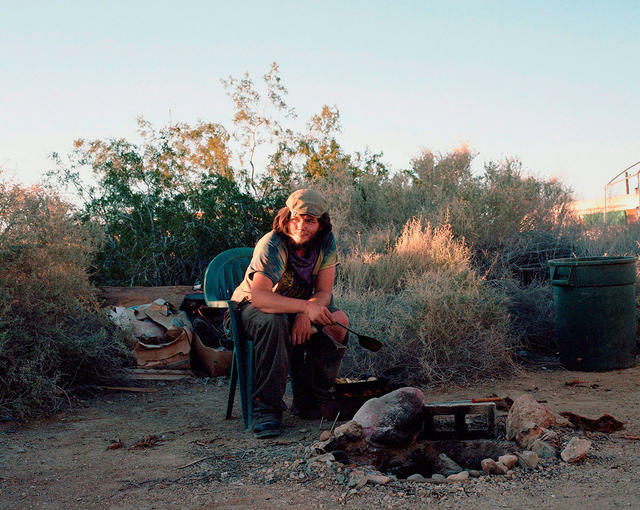 For more than three decades, she's risen before dawn seven days a week to bring meals and counsel to camps up and down the coast where homeless people congregate. This week, CNN profiled Chinn as part of its "Heroes" series. In the video, she talks about being shaped by the hardships she endured as a child in China during the Cultural Revolution. "I don't anyone to suffer what I suffered," she said. One local official told the network Chinn does more to help Humboldt’s homeless than the entire county government. Read more and watch the video at CNN. With the midterm election less than five weeks away, a new poll showed that none of the Republicans in California’s six most competitive congressional races have a lead. "Trump appears to be the main motivator for voters in these districts," a pollster said. "He’s the central figure." Logging operations in Stanislaus National Forest. The Trump administration has blamed "environmental terrorist groups" for blocking logging projects that might have helped curtail forest fires. The comments appear intended to resurrect a fight that ended years ago. 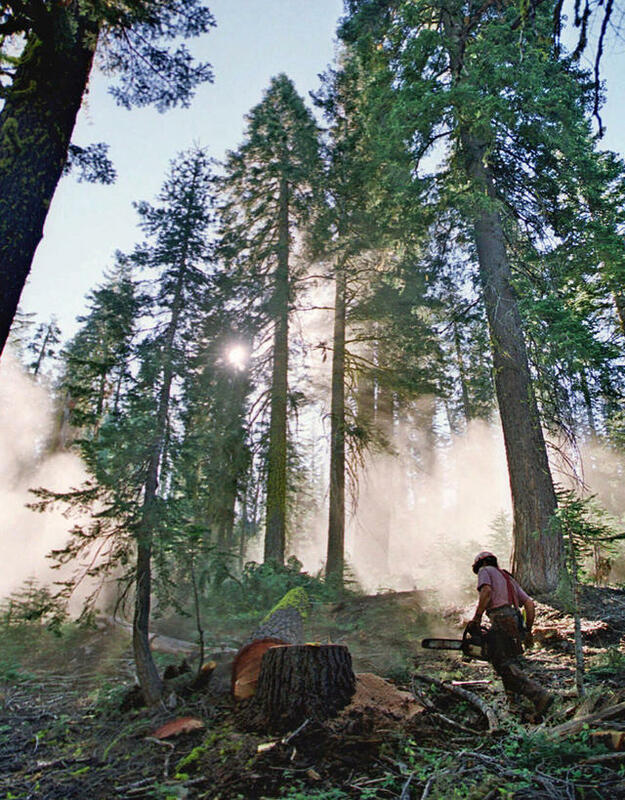 Timber industry officials say they largely see eye-to-eye with environmental groups on the need to thin California's overgrown forests. Within months of Donald Trump's inauguration, reports of domestic violence and sexual assault in the Latino community plummeted as women in the country illegally became fearful of calling the police. Instead, abused women have been increasingly relying on each other, creating a secret network of homes turned into shelters. 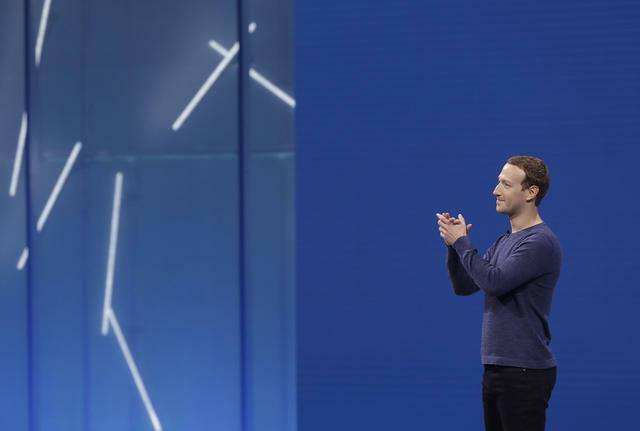 Facebook's Mark Zuckerberg is the country's fourth-richest person, according to Forbes. 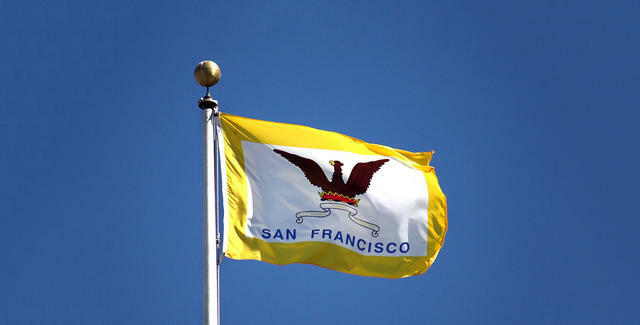 A Forbes ranking of the 400 richest Americans included 92 Californians. Mark Zuckerberg — net worth $61 billion — was the state's richest person. The survey also included "philanthropy scores." Elon Musk and In-N-Out's Lynsi Snyder were among those who scored ones (the lowest). Zuckerberg got a five (the highest). 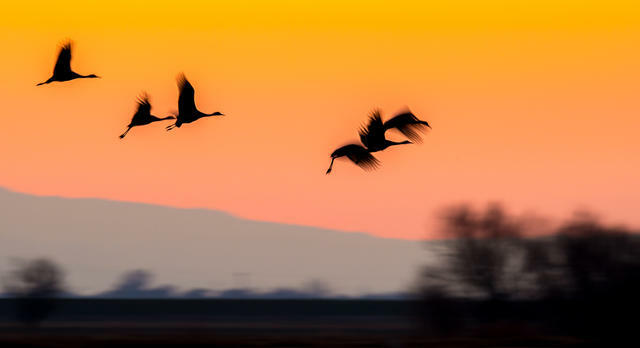 Sandhill cranes in flight at Merced National Wildlife Refuge. Millions of migratory birds traverse the north-south Pacific Flyway through California each year. Among the biggest crowd-pleasers are the sandhill cranes, social animals that arrive in the fall and perform colorful courtship dances. 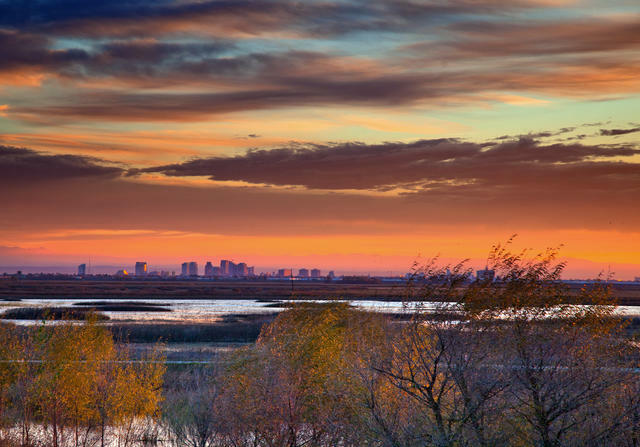 Tours in the California Delta led by the state's wildlife's agency start this month. The skyline of Sacramento, where Bay Area transplants are more likely to be baristas than tech executives. High-rent refugees from the Bay Area are flooding into the Central Valley. The No. 1 destination is Sacramento, where an estimated 192,000 households relocated between 2010 and 2016. Nearly half of those fleeing the Bay Area made less than $50,000 a year. The influx is raising worries about traffic, housing affordability, and local identity. An explosive investigation by Bloomberg revealed that Chinese spies planted tiny microchips in servers used by Apple and Amazon — and dozens of other companies — opening their networks up to surveillance. The tech giants denied any infiltration occurred. The San Jose company that built the servers saw its stock price sink by half. 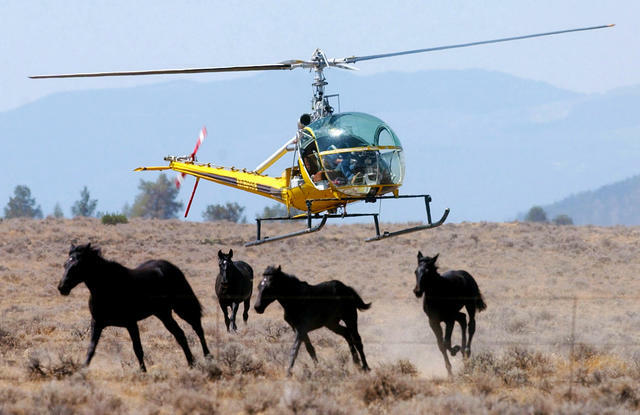 A helicopter herding wild horses in Modoc National Forest in 2004. The U.S. Forest Service is poised to round up a thousand wild horses in Modoc National Forest, in California's northeast corner — and many of them could end up at slaughterhouses. "Our territory is supposed to have 206 to 402 animals," a forest supervisor said. "We have almost 4,000 horses." Animal rights activists say horse slaughter is unnecessary and cruel. 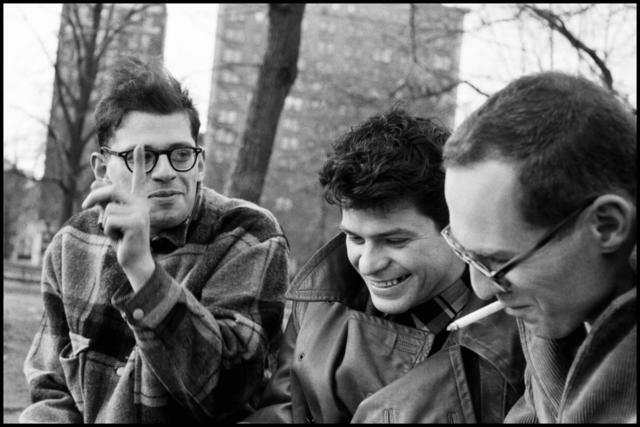 Allen Ginsberg, left, Gregory Corso, and Barney Rosset in New York's Washington Square Park in 1960. On assignment for a glossy magazine, Magnum photographer Burt Glinn captured the anti-conformist Beat subculture in San Francisco and New York in the 1950s and '60s. The largely unseen images — taken at jazz clubs, poetry readings, and cocktail parties — are the subject of a new book and an exhibit on display through November in San Francisco. 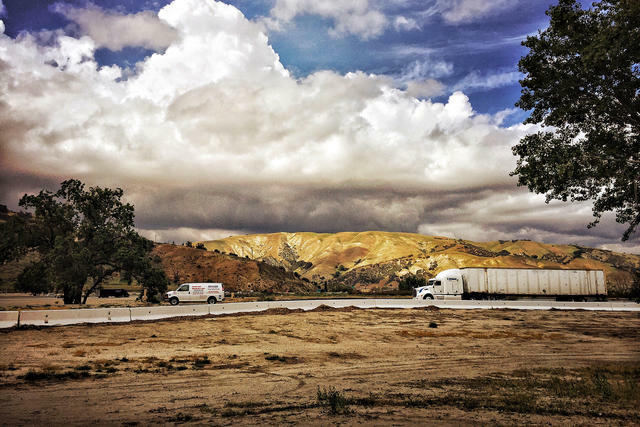 A rest area along the 5 Freeway north of Los Angeles, where sheriff's deputies prowl for drug traffickers. A team of Los Angeles sheriff's deputies were tasked with taking down drug traffickers along the Grapevine. Since 2012, more than two-thirds of drivers they pulled over were Latino, according to a data analysis. The department said racial profiling played no role in the stops. But legal experts said the records strongly suggest the deputies were violating Latinos' civil rights. "A long-awaited energy revolution is beginning to take shape in the vast open deserts of Southern California." Officials are counting on the promise of battery storage to vastly expand the state's use of renewable energy. But the technology isn't quite there yet. Now developers are proposing new solar plants in the desert with huge built-in batteries. An analyst called it a "new frontier" for the industry. Vijay Gupta, 31, is a violinist with the Los Angeles Philharmonic. 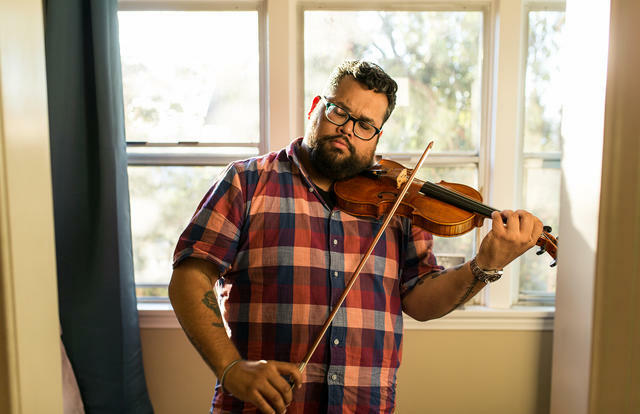 Violin virtuoso Vijay Gupta founded a nonprofit that plays concerts for Los Angeles's homeless. Now he's been included among the winners of this year's MacArthur "genius" grants, which comes with a no-strings-attached award of $625,000. When he got the call, he said, "I think I shouted expletives at the committee for the first minute of the phone call." The 60-foot Pirate Tower was created as a private staircase. 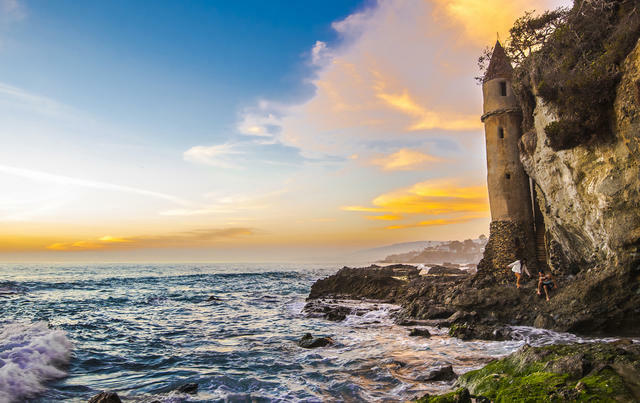 A tower perched on the rocky shores of Laguna Beach looks like something out of a fairy tale. Hiding a staircase, Pirate Tower was built in 1926 to allow a state senator get from his house atop the cliff to the beach below. It's believed to have gotten its name from a subsequent owner who would dress up like a pirate and hide coins in the tower's crevices for neighborhood kids to find. A photo caption in an earlier version of this newsletter misidentified a park where Allen Ginsberg, Gregory Corso, and Barney Rosset were sitting. It was Washington Square Park in New York, not Washington Square in San Francisco.